SAVE THE DATE for the Annual Member Meeting on Monday, March 18th, 2019. 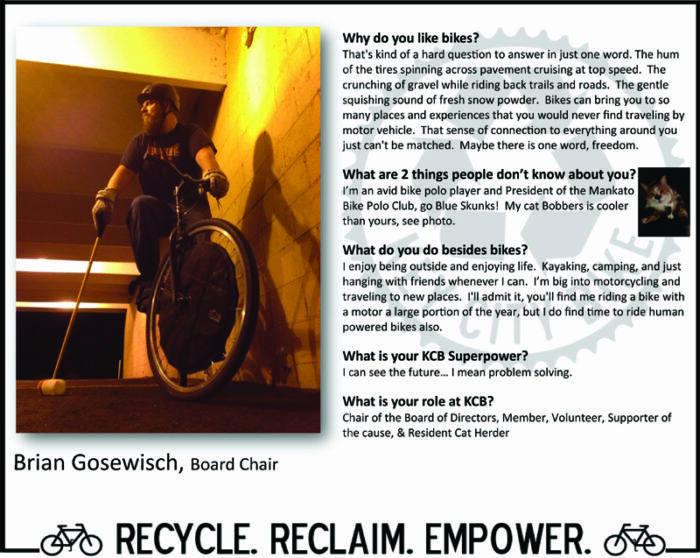 KCB is member-controlled and we need your voices and your votes!Join us as we recap (and celebrate!) the 2018 season and share our ideas and hopes for 2019. Want to get involved? Like, REALLY involved? There are several open positions on the board if you are interested! 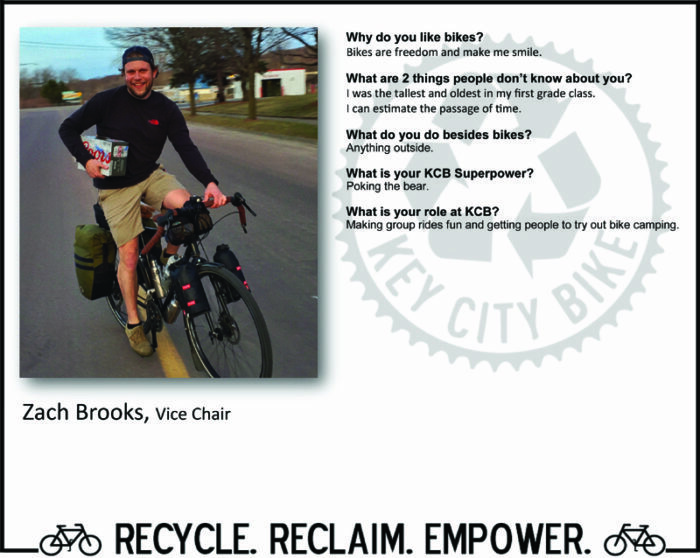 Please email toddskitchen@keycitybike.org with your application by February 28th, 2019 to be considered for the voting ballot. Board meetings are currently taking place the 2nd Monday each month at 6pm. Membership is open to everyone. Each member receives a t-shirt with their annual renewal or first time membership, as well as, a vote at the member meeting. 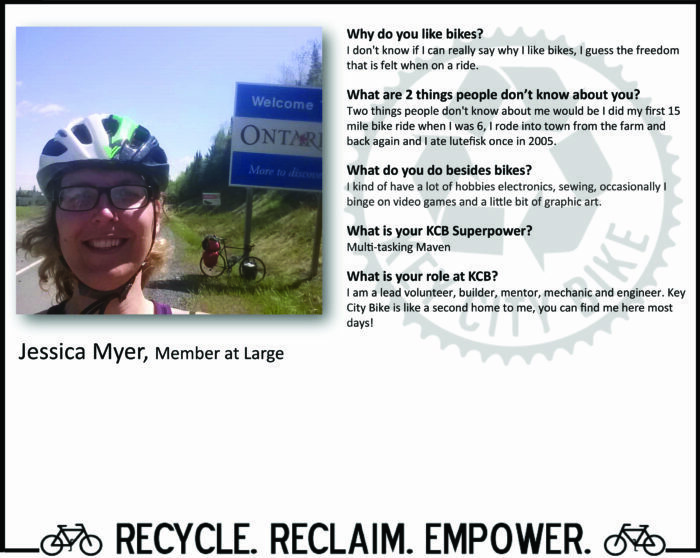 Becoming a member of Key City Bike means you believe in our mission to Recycle, Reclaim, Empower! Membership is one of our main sources of funding. Your support helps keep the lights on and the bikes rolling. 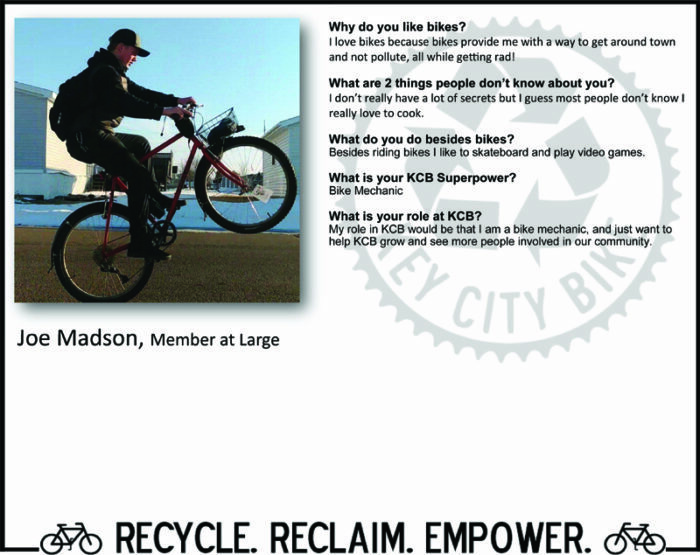 Key City Bike is run solely by volunteers. Our volunteers run the shop, host events, plan, promote, educate, inspire, recycle, reclaim and empower! 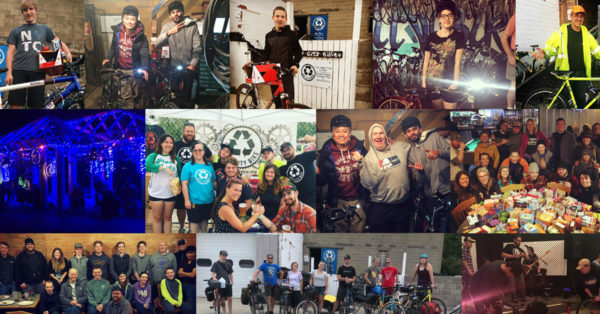 This event is to recognize and thank our volunteers for their dedication to bicycle education, commitment to environmental sustainability, passion for empowering people and their service to Key City Bike. Pizza dinner will be provided for all volunteers (anyone who volunteered at the shop during the 2018 season, whether for 10 minutes or 10 hours). Awards will be presented at 8pm. Feel free to invite family and friends to attend. PLEASE RSVP TO THIS EVENT IF YOU PLAN TO ATTEND. The event is taking place February 1, 2019 from 7 to 9pm at the KCB shop. Click on the link below to the Facebook event page, we hope to see you there! Comments Off on New Hours!! 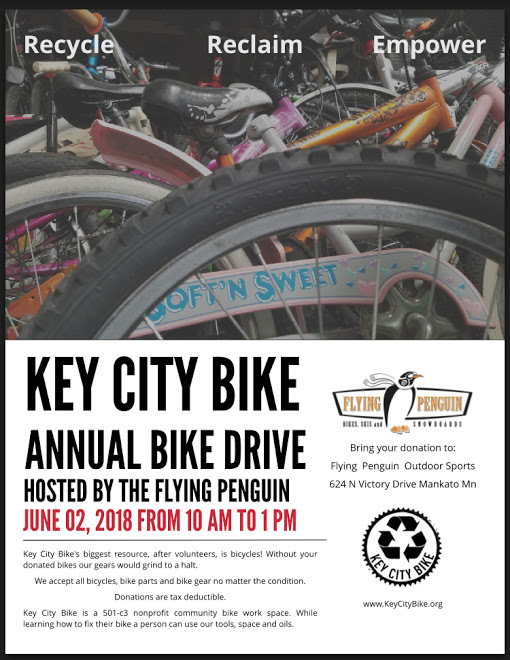 Every year Flying Penguin generously hosts a Bike Drive for Key City Bike. Check it out and stop by to make a donation! 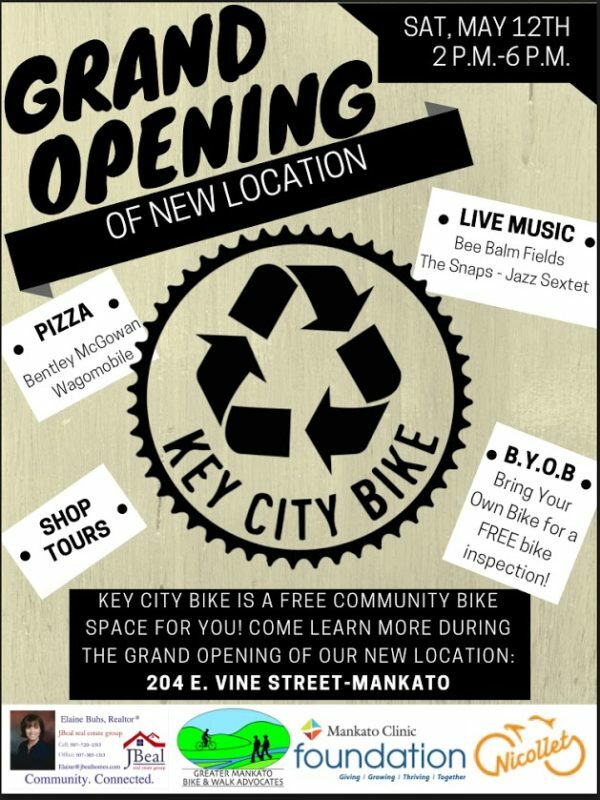 We are so excited to announce the Key City Bike GRAND OPENING in our new location! Please join us in celebration as we officially open the doors at 204 E Vine St. in Old Town Mankato. Stop down with the family for a day of music, fun, food and bikes! 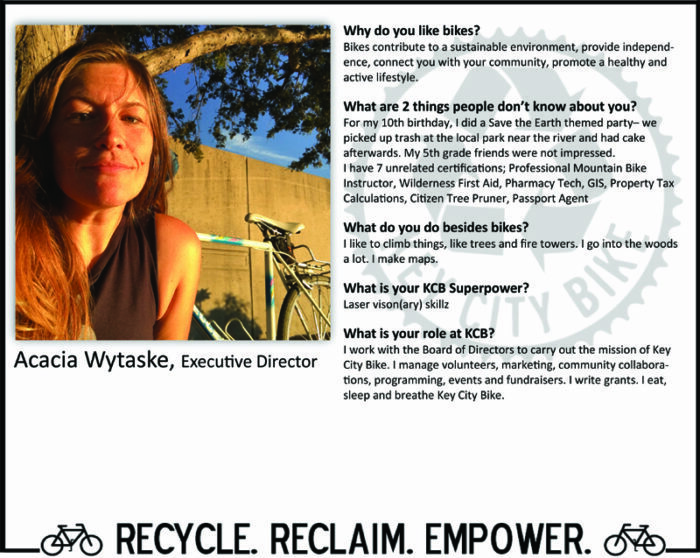 Guided shop tours with info about volunteering and what we do at Key City Bike every half hour with our Executive Director, Acacia. 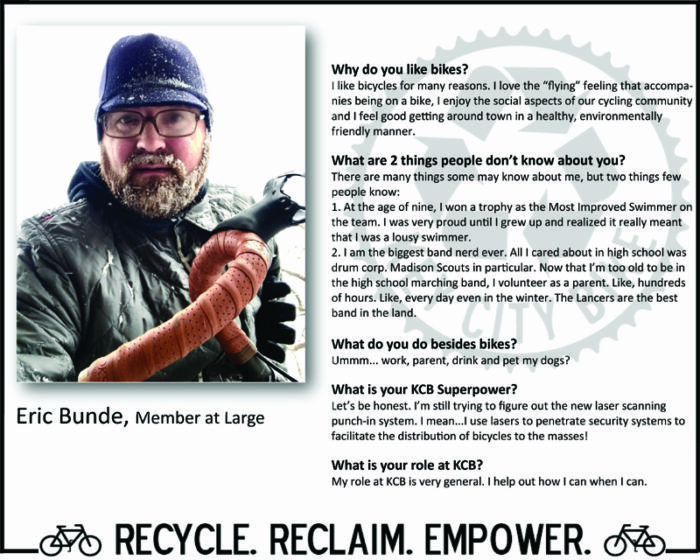 Free Bike Inspections – BYOB! Bring your own BIKE! Pizza fundraiser from 4:00-5:30pm with the Bentley McGowan Wagomobile sponsored by Elaine Buhs – JBeal Real Estate Group. Enjoy a slice of pizza and a soda for $5 and all proceeds go to Key City Bike! Thank you to our Grand Opening Sponsors! Comments Off on Meet the Team! We made bios to share with you! 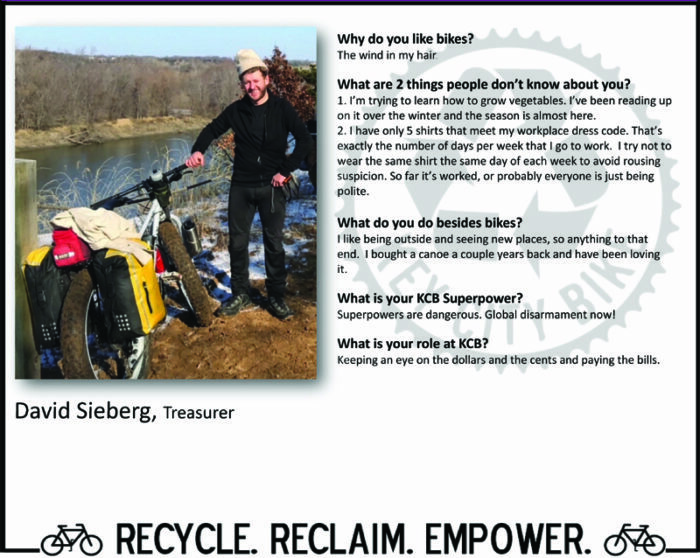 Learn more about the crew behind the scenes at Key City Bike below. It’s time for the Annual Member Meeting and you’re invited! This meeting is open to the public and Key City Bike Members. KCB is member-controlled and we need your voices and your votes! Join us as we recap (and celebrate!) the 2017 season and share our ideas and hopes for 2018. The meeting will take place at The Eagle’s Club Ballroom located at 708 N Riverfront Drive. There are additional open positions on the board if you are interested in getting involved. 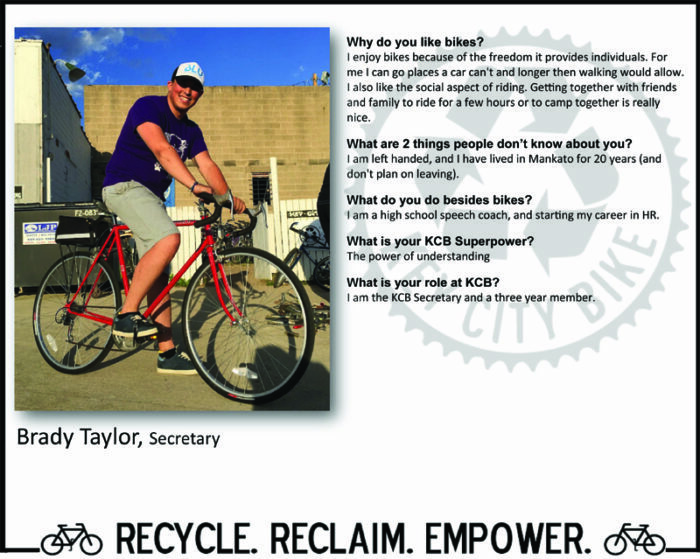 Please email toddskitchen@keycitybike.org with your letter of interest by March 21 to be considered for the voting ballot. Board meetings take place the 2nd Monday each month at 8pm. 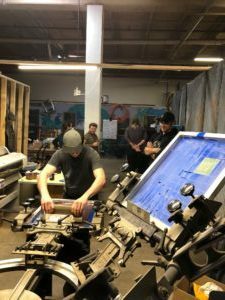 This year, KCB Board Members and volunteers screen-printed the member t-shirts by hand to support our friends at the Mankato Makerspace. These are one of a kind t-shirts made with lots of love! **Membership is open to everyone. Each member receives a t-shirt with their annual renewal or first time membership, as well as, a vote at the member meeting. 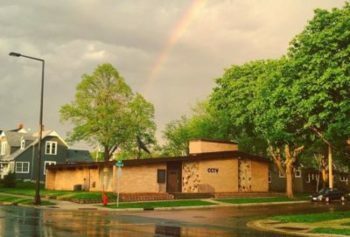 Key City Bike has relocated to our new space at 204 E Vine St, Mankato, MN. As we transition to managing a much larger space, we will be open with limited hours and services – starting February 21st, 2018. The Grand Opening is scheduled for May 12th, 2018. At that time, we will have full service and additional open days and hours. 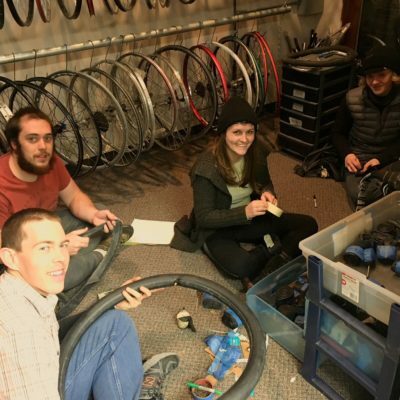 Monday – WTF Night 5:30-8:30PM An evening dedicated to creating a welcoming space just for women, trans and gender non-conforming friends to introduce the empowering realm of bike mechanics. If you do not identify as women/trans/femme/non-binary/two-spirited, we ask you do not attend this event. Tuesday – Earn-a-Bike Night 5:30-8:30PM If you are earning a bike through our Earn-a-Bike program, this is the evening you may accumulate credit for the program. This evening is for Earn-a-Bike participants only. 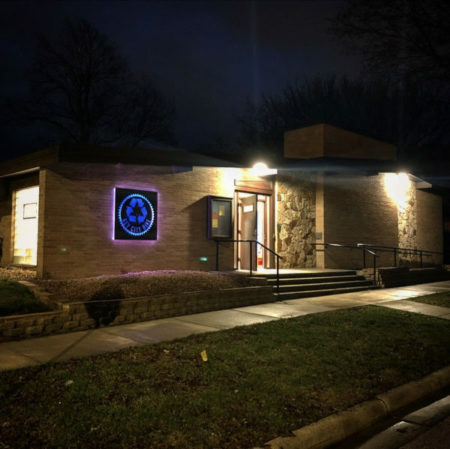 Wednesday – OPEN SHOP 5:30-8:30PM Come one, come all! Saturday – OPEN SHOP 2:00-6:00PM Come one, come all! Comments Off on KCB Does VELOtine’s Day! Key City Bike will be celebrating Valentine’s Day by offering our bike space as a pop-up courier agency dedicated to spreading love, appreciation and community spirit by bike! From now until Monday, February 12th at 6pm, you can order a VELOtine by following this link or by stopping into the shop located at 204 E Vine St on Wednesday, Feb. 7th between 6pm-9pm. 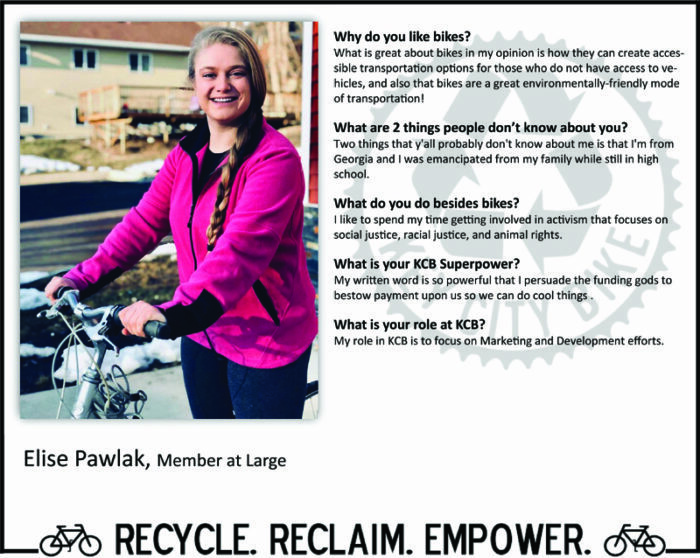 On February 14th, our crew of bike couriers will deliver your note with a smile. The message you send your sweetheart, friend, business, or nonprofit organization should be written by you. 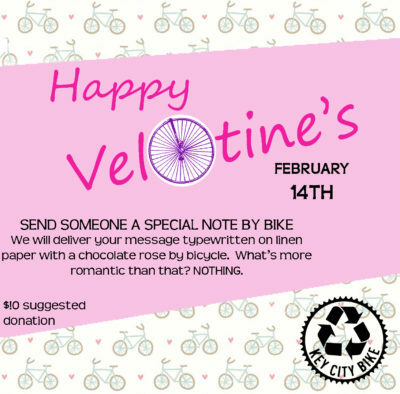 We will have the message typewritten by Mankato writer and typewriter enthusiast, Allen Tesch on linen paper and delivered by one of our bike love couriers with a chocolate rose. Bike delivery must be within 5 miles of downtown Mankato. Minimum suggested donation of $10 per VELOtine. I wheelie like you, will you be my Velotine? Roses are Red, Violets are Blue, let’s take a ride on a bicycle built for two. I’m head over handlebars for you. You really turn my crank. Will you be my Valentine? You’re the center of my wheel.